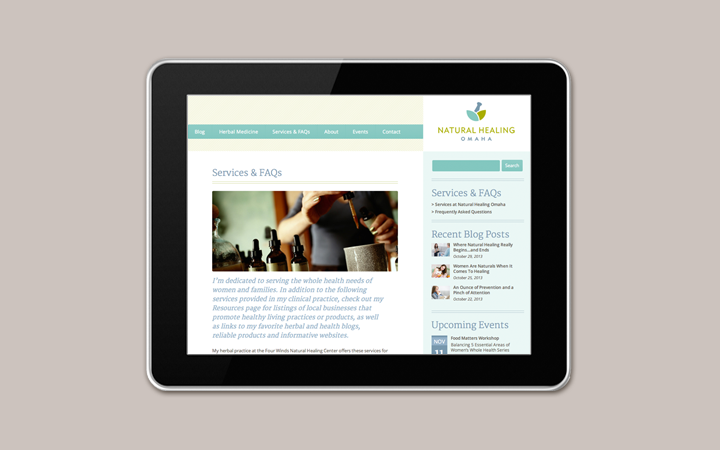 Natural Healing Omaha believes that herbal medicine is a healthier alternative to traditional healthcare. They needed a brand that could represent the quality and expertise of the company and empower them to compete with traditional healthcare. 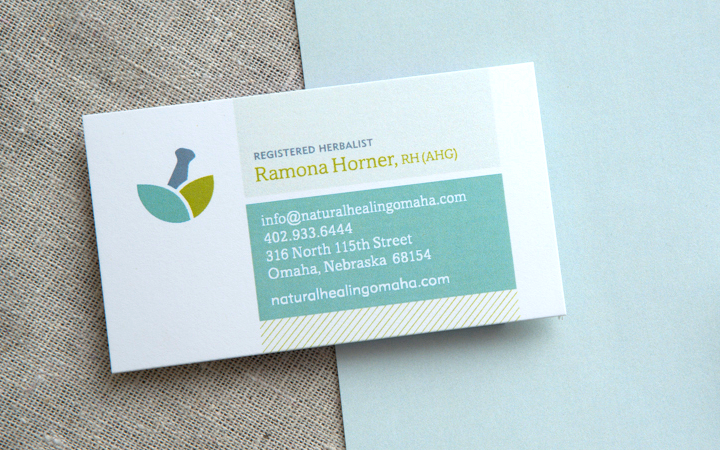 Natural Healing Omaha was looking for a way to be seen as a legitimate alternative to traditional medicine. 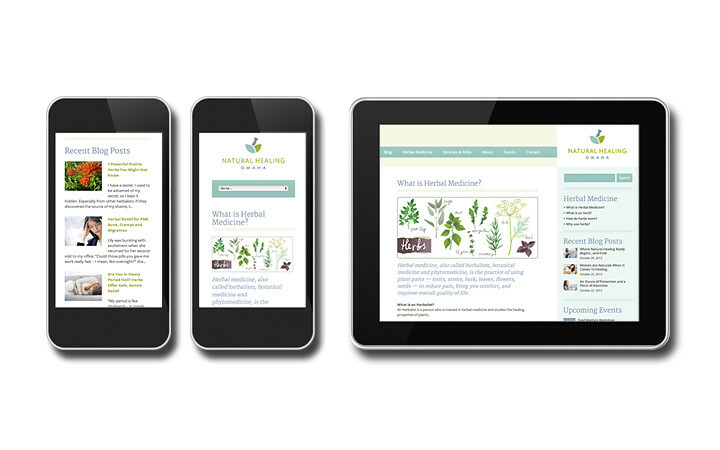 They needed to address consumer misconceptions surrounding herbal medicine, and to expand the experience of herbal medicine to reach more consumers in the Omaha area. 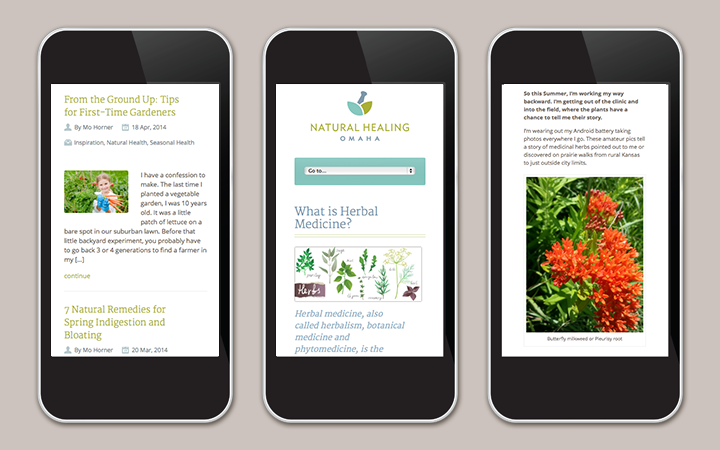 The goal was to become the go-to resource for medicinal herbs. 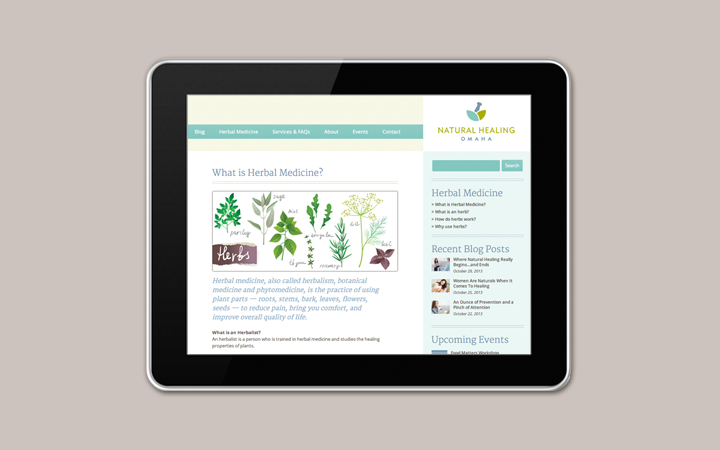 Many alternative medicine brands play into the stereotypes and misconceptions about the industry. We intentionally avoided a “New Age” or “mysterious” feel in favor of a professional, dignified presence. 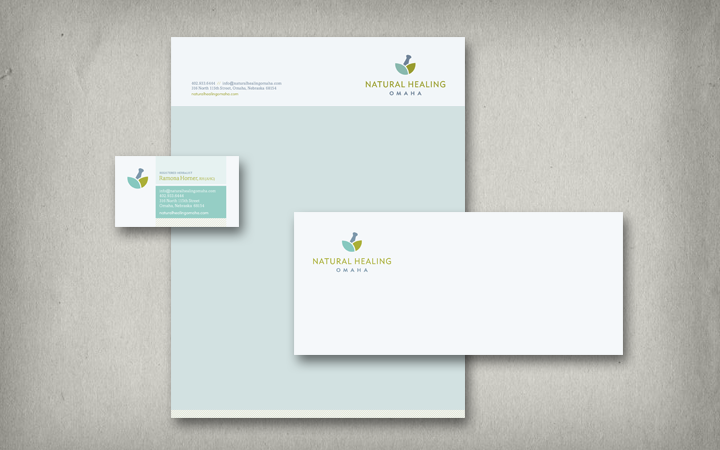 Clean and modern design makes this brand as authentic as alternative medicine actually is, and attracts the attention of a broader health conscious customer. Key information was reorganized to be intuitive and easy-to-follow. We also created an events platform for workshops and classes. And patients can easily make appointments and ask questions online. 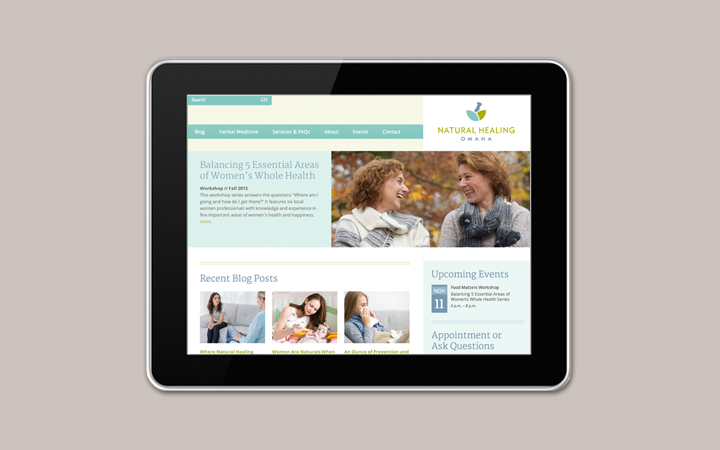 The rebrand immediately led to more scheduled appointments, greater community awareness and a very happy client!